So you want to raise goats? Or maybe you’ve already brought your goats home but don’t feel totally confident about raising them successfully. No matter where you are in your journey to raising goats, this guide will help you along the way. This Quick Start Guide to Raising Goats will walk you through choosing a breed, preparing your land, and dealing with breeding, kidding, health care and anything else your goats may throw at you. 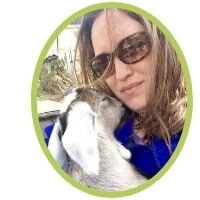 Before we get started, why don’t you take a minute to sign up for one of my free eCourses on Raising Goats? The info will be delivered right to your inbox. So the most important part of raising goats- is choosing the best breed for your situation. Do you want milk? Meat? Both? Do you just want to raise goats as pets- to enjoy their company and for them to eat down your weeds? Knowing the answers to these questions will help you narrow down exactly which breed works best for you. 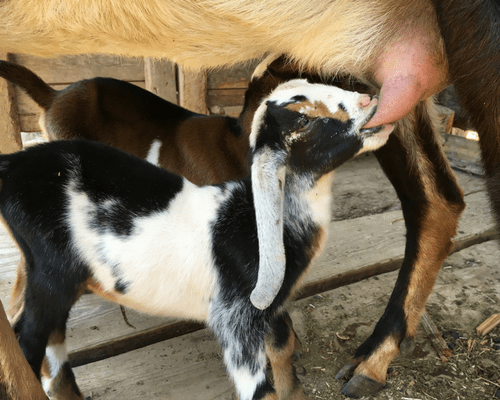 If goat milk is at the top of your list, then check out my article on the 5 Best Dairy Goat Breeds to help you narrow down which dairy goat breed is the best for your situation. Are you looking for something more rare? Maybe a heritage breed or a breed that isn’t as well known? Check out these 5 Overlooked Goat Breeds and see if one of them speaks to you. And finally, if you really just don’t know what you want when it comes to raising goats, here’s The Ultimate Guide to Goat Breeds. Where you will get a look at the most popular dairy, meat, mini, and fiber goat breeds. Now that you know which breed is best for your situation, let’s talk a little about what goats need in terms of basic needs. 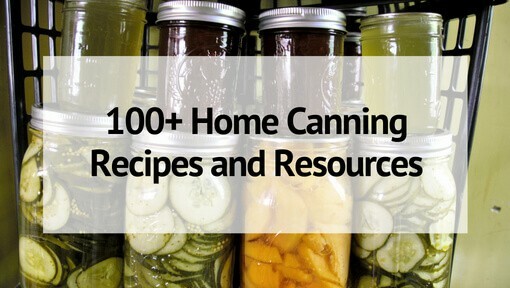 What do you need to have on hand and ready before you even bring them home? When I first started my journey to raising goats, I lived in a subdivision. We had a little over an acre in land, but it wasn’t a rural setting in anyway. If this sounds like you, or maybe you have even less land and want to know if it’s even possible to raise goats where you live. The answer is most likely, yes! I know people living on barely 1/4 acre who raise goats successfully! These articles on Raising Goats on a Small Lot and Space Requirements for Raising Goats will help you get set up for goats in your given space and give you tips on how to care for them in a smaller area. As far as shelter- goats don’t need to much. They simply need an area that gives them shelter from the wind, rain, and snow. Usually a 3-sided run-in shelter is sufficient for goats. If you live in a very cold area with a lot of wind and snow you might want to build a barn that is more enclosed. Goats are not like a lot of other livestock- they do not like to get wet and will not stand out grazing in the rain. So make sure you have a secure, leak proof shelter for your goats. 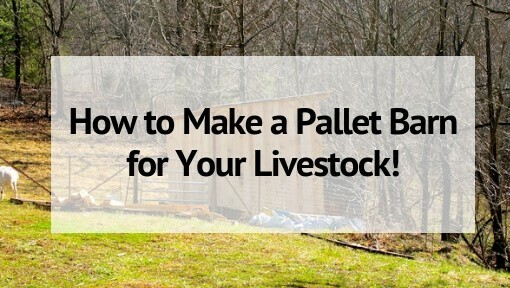 Here on our farm we use recycled wood pallets for our goat barns. You can see examples of these goat shelters here: Our Pallet Goat Barn and Our Quick Pallet Shelter. You may have heard that goats can be quite the escape artists. And this is one rumor that is totally true! Your goat fences need to be strong and secure to keep your goats where you want them to be. You can get a quick run down of the major fencing types on the Ultimate Guide to Fence Options on the Farm . But when it comes to raising goats there are 2 types of fencing that I recommend. Those are 4-5 strands of electric wire or 4-in woven goat wire. These 2 work the best to keep your goats where you want them- and out of your garden and your neighbor’s yard! Learn more about the pros and cons of these 2 goat fencing options. So you’ve got your shelter made and your fences up- what else do you need before you bring your goats home? First and foremost- food. 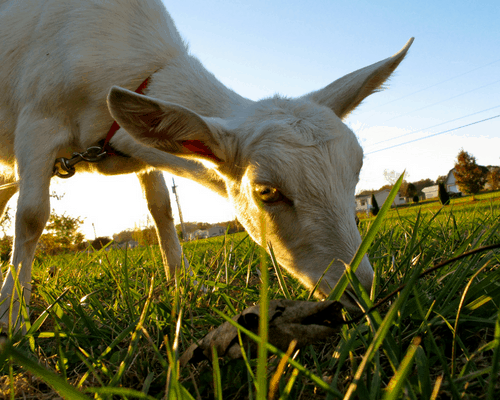 While the bulk of your goat’s diet should be from either forage or hay- if you have pregnant goats, in-milk goats, or kids, you will also need to provide supplemental grain. We feed ours a mixture of sweet feed, goat pellets, alfalfa pellets, and black oil sunflower seeds. If you are raising goats on a small lot you will need to make sure you have a good source of hay for your goats since it will likely make up the bulk of your goats’ diet. Goats also need access to a good loose mineral at all times. When choosing a loose mineral make sure it is formulated for goats and not goats AND sheep so that your goat’s copper needs are met. Other than nutritional needs, you will also need a few supplies such as collars, feed buckets, some basic first aid care, hoof trimmers, etc. 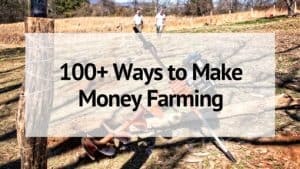 Check out my list of Must Have Goat Supplies and my Recommended Resources for Raising Goats for a list of some of the things you might need. When it comes to raising goats, you don’t need to do too much. Daily care, monthly hoof trimming, and seasonal supplements are usually all that it takes. Proper nutrition and care goes a long way in keeping your goats happy and healthy. Access to a good quality loose mineral, quality hay and supplemental grain when needed will keep your goats in top shape, but occasionally you might find yourself dealing with certain deficiencies. The most common deficiencies in goats are due to a lack or selenium and/or copper. These 2 nutrients are lacking in the soil in many areas so the goats are unable to ingest the amount they need. Lack of copper can cause a lot of issues including coat quality and having a hard time fighting off parasites. In most locations you will need to copper in the form of a copper bolus at least a couple times a year. Click to learn how to give a copper bolus to your goat. Selenium deficiency is another common deficiency that causes a lot of reproductive issues in adult goats and weakness in kids. Yearly supplements around breeding times in deficient areas is the best course of action to ensure healthy pregnancies and strong kids at birth. Click learn more about dealing with selenium deficiency in goats and how to treat it. There are also a host of other supplements and medications you might consider keeping on hand at all times so that you are prepared when illness happens in your herd. Most goat illnesses will fall in one of 4 areas- nutrition related, parasites, rumen-related, and viral/bacterial. And at one time or another you are sure to run into one or more of these illnesses. Check out the Advanced Guide to Goat Illnesses and Medications for an indepth look at some of the illness you might run across plus gives profiles all of the most common illness, along with dosage cheat sheet and symptom checker! When dealing with any illness, whether she is off feed and lethargic or has bad scours, keeping your goat hydrated should always be top priority. 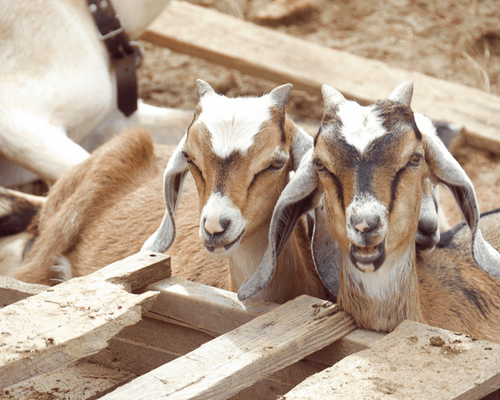 You can use this Homemade Electrolyte solution recipe to help you keep your goat hydrated and give them a boost of energy. And now we’ve come to the more stressful part of raising goats: Breeding and Kidding. This can be a time of uncertainty for both someone new to raising goats and someone who has years of experience. But remember that it’s in a goats nature to reproduce and most of the time they won’t need any outside assistance from you. All you need to provide is the proper nutrition for your expecting does, a safe and warm place for them to give birth and a watchful eye to make sure everything goes as planned. But before you get to kidding- you need to get to the breeding. Read the Ultimate Guide to Breeding Goats to get a in depth look at everything that goes into breeding your goats. And my article on Raising Bucks in Rut will give you an idea of what to expect when it comes to your buck during breeding season so you are prepared for the antics he may display! Most of the time raising a pregnant goat in no different than raising a non-pregnant goat, but as kidding time gets closer you will want to keep an eye on your goat. You should watch for signs of pregnancy related illnesses such as Toxemia or Hypocalcemia. You should also keep watch for signs that your goat is in labor– or will be soon. Kidding is usually uneventful. It’s best to educate yourself on the common presentations so that you are prepared to assist if needed. You should also have all of your kidding supplies together a week or so in advance so that you can grab it and head to the barn at a moment’s notice. Click to find out what to put in your Goat Kidding Kit. Once the kids are on the ground, you will need to make sure that they drink colostrum from their mother as soon as possible. You might have to support them under their belly and help them find the teat at first. The Busy Homesteader’s Binder has a complete Newborn Checklist that will make sure your new kids are off to a great start. And inevitably, at some point, you will be faced with raising a bottle baby. Sometimes mom reject their babies, or are too weak from kidding, to care for their babies. In that instance, here is How to Bottle Feed a Baby Goat. If you have any questions about anything goat related feel free to leave a comment, contact me, or join my Get Your Goat Facebook Group to talk to others who raise goats! thanks for all the advice. It will make my choices easier. And might need your advice in the future. What shots are needed when.